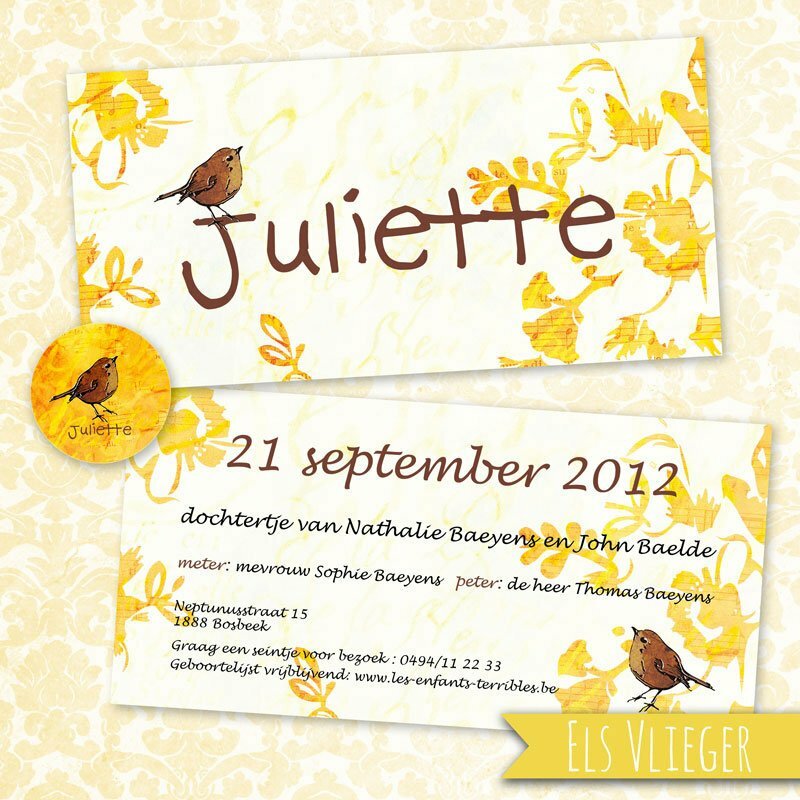 Custom made birth card with magnet design for Juliette. The client wanted to have a sober, yet stylish design with some reference to the flowery wallpaper in the nursery. Everything is designed with attention to detail and in close consultation with the client.